Nothing pleases a crowd in South Carolina like an all-you-can-eat buffet. Everybody gets what they want, and as much as they want, for a single price. 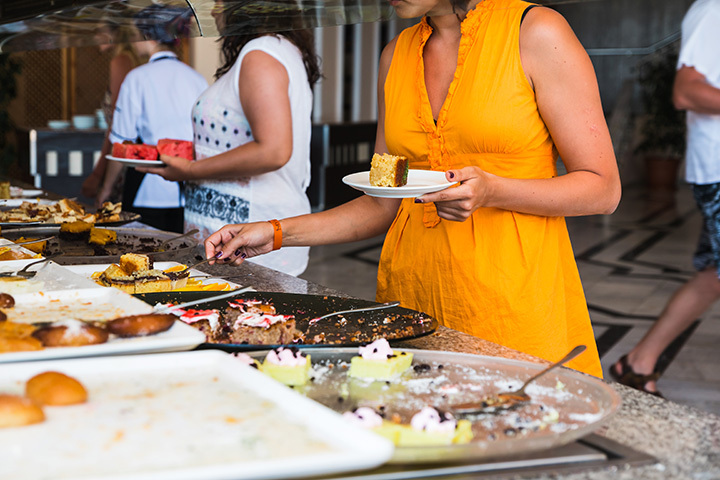 From seafood to Chinese to all-American cuisine and more, fill up your belly at these 10 great buffets in South Carolina. Known primarily for their exquisite catering, Old South hosts a Sunday buffet you won’t want to miss. Comfort favorites like fried chicken and chicken and dumplings are staples of this weekly spread, along with several dessert options and a full salad bar. The buffet also includes your beverage, giving you more value for your money. A tradition unlike any other...kinda like The Masters! This multi-buffet restaurant is southern cooking at its finest. Fill up on soups, salads, desserts, and all the southern favorites you can imagine for one low price. They also have a regular menu if the buffet isn’t in the cards for you. So this happened this morning with @joshuajjones80. I found a new favorite breakfast place! Fans love this place because of the amount of food they get for the price—you won’t walk away hungry! There’s always something new and delicious to discover, like fatback, cabbage, and stewed tomatoes. It’s country cookin’, plain and simple, and you’ll definitely go back for seconds. This seafood buffet is the heart and soul of Grand Strand cuisine. They have top quality items lining their buffets, including crab legs, crawfish, mussels, clams, and just about every other type of seafood you can imagine. Their fully loaded dessert bar also can’t be overlooked. It’s not often you stumble across a barbecue buffet, but when you do, you should hope it’s every bit as good as the one at Palmetto Pig. They’ve got all their best sellers on the buffet for a single price, including barbecue pork, fried chicken, and all the fixings. Known as one of the best Italian restaurants of the Grand Strand, you can sample a little of it all with their premium buffet. You can grab an all-you-can-eat plate for lunch on the weekends, or for dinner any night of the week. If you’re planning an evening meal here, early birds get the best deals. Part catering service, part restaurant, this place is 100 percent dedicated to its buffet. You won’t find better southern cuisine anywhere else, with staples like fatback, fried green tomatoes, and okra making regular appearances. They offer weekend breakfast buffets and a lunch buffet through the week, giving you plenty of chances to go eat your share. This place isn’t just a buffet, but their all-you-can-eat offering is by far the most popular choice. This upscale southern buffet features favorites like fried chicken, seafood, meatloaf, and other options, depending on the day of the week. Their customers rave about the freshness and quality of the food and friendliness of the staff. Fried chicken is one of their specialties, but their customers agree that it’s their service that makes the difference. Its humble digs don’t distract from the amazing flavor of each meal. They’re also one of the best values in town. Locals love the large variety of sides and vegetables here, something you don’t always find at other buffets. It’s also one of the lowest priced buffets in the area, giving you more value for every meal.